This stunning sapphire satin garter is highlighted with simple white lace trim and a white satin bow. You may want to consider using this piece as the throw away garter when the single men in attendance at the reception are wrestling for the lucky garter. 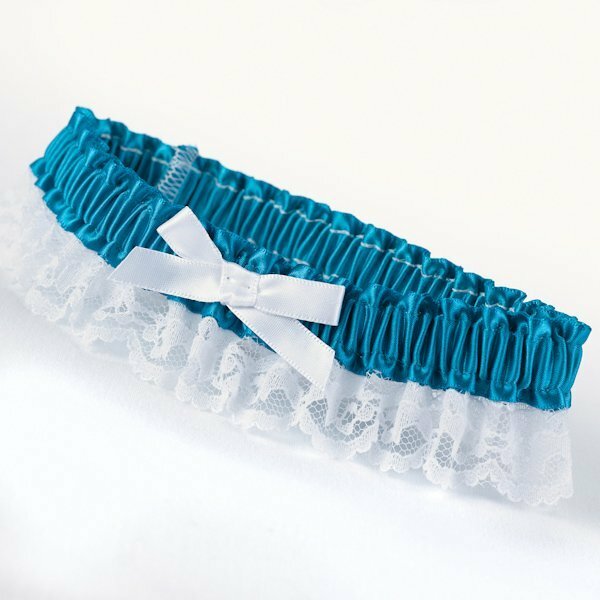 It is designed to fit most brides and is sure to be a charming keepsake for the young man who catches your sapphire garter from your blushing groom!